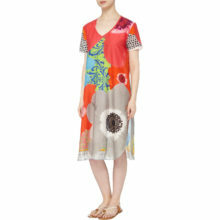 A swirling print in reds, pinks with highlights of cream, black and white. 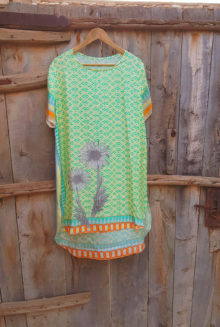 Great non floral print with a geometric feel.A collection of Susannagh Grogan’s favourite and most popular prints as well as some new designs for 2019, make up this range of Susannagh’s printed silk/cotton tunic dresses. 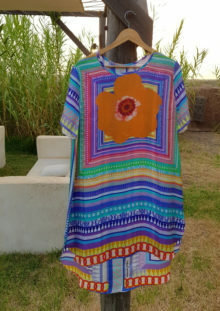 Wear loose fitting; over palazzo pants or jeans, as a cover up with swimwear on the beach, with bare legs and sandals in the evening, they are designed to get plenty of wear in all summer locations, home and abroad. 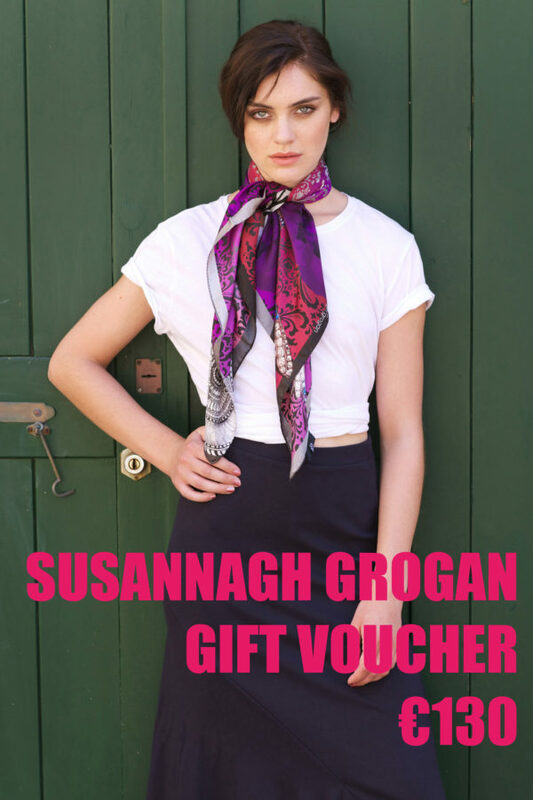 This is Susannagh's statement print in her most recent 'Carnival' Collection. It nods to the 80's but with a current feel. 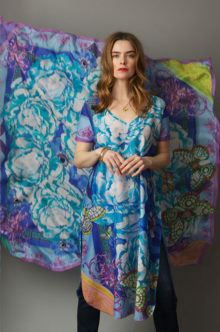 Varying tones and shades of blue are complimented with violet and coral hightlights. 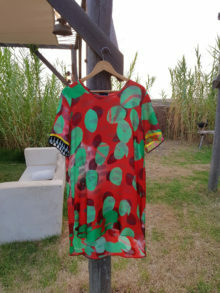 This feel good print also comes in a pink colourway.A collection of Susannagh Grogan’s favourite and most popular prints as well as some new designs for 2019, make up this range of Susannagh’s printed silk/cotton tunic dresses. Wear loose fitting; over palazzo pants or jeans, as a cover up with swimwear on the beach, with bare legs and sandals in the evening, they are designed to get plenty of wear in all summer locations, home and abroad. 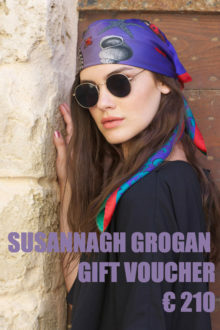 This is Susannagh's statement print in her most recent 'Carnival' Collection. It nods to the 80's but with a current feel. 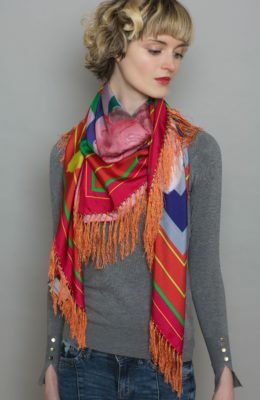 Varying tones and shades of pink, oranges and red are complimented with turquoise and bright teal hightlights. 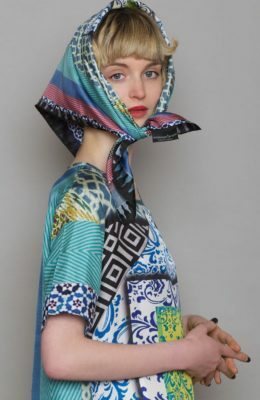 This feel good print also comes in a blue colourway.A collection of Susannagh Grogan’s favourite and most popular prints as well as some new designs for 2019, make up this range of Susannagh’s printed silk/cotton tunic dresses. 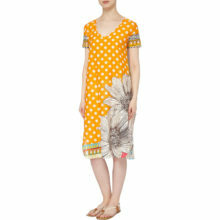 Wear loose fitting; over palazzo pants or jeans, as a cover up with swimwear on the beach, with bare legs and sandals in the evening, they are designed to get plenty of wear in all summer locations, home and abroad. 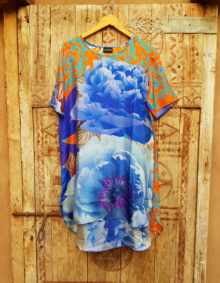 Left from my Marrakesh Pop-Up so you can get the discount!One off 100% Silk Tunic, Size Small.Loose fitting, knee length.